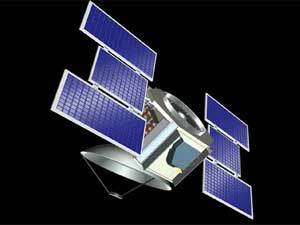 Artist's concept of the CloudSat spacecraft in orbit above the Earth. CloudSat is an experimental satellite that will use radar to study clouds and precipitation from space. CloudSat will fly in orbital formation as part of the A-Train constellation of satellites (Aqua, CloudSat, CALIPSO, PARASOL, and Aura). 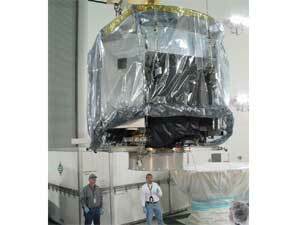 Technicians unload and install the JPL-managed CloudSat spacecraft at Vandenberg Air Force Base, Calif.